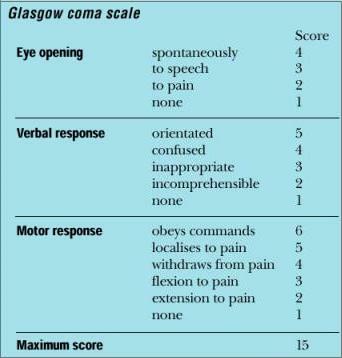 *Pupilary response is not included in the glascow coma scale. A score of 15 indicates that client is awake and oriented, the lowest possible score is 3 which means that patient is in deep coma. A score of 7 or below is considered coma.